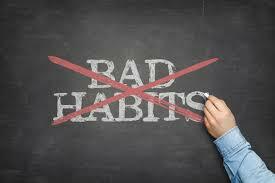 We all have a bad habit or two we could stand to lose, but habits are hard to break. Whether your bad habit is procrastinating, overspending, swearing, or any other one you want to change, here are ten tips to break free of negative behaviour patterns. Make a bad habit a little more painful and you might ditch it for good. Money is a great motivator, so you can use the “swear jar” method or pay your friends $1 each time they catch you doing that thing you want to stop doing. It works the other way too: Reward yourself for beating your habit every day. Try this for 21 days. money ones. Often, we repeat bad habits without even realise we’re doing them. 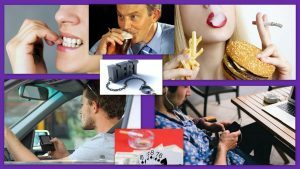 There are five cues that usually contribute to every bad habit, though, and being aware of them can help us learn what’s behind those behaviours. 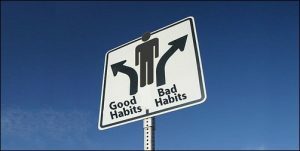 Forming better new habits takes time and effort, but breaking established bad habits may be even harder. So be patient with yourself and instead of making dramatic adjustments, try focusing on one habit and the smallest steps you can take to “trick your inner caveman”. With food and dieting, for example,small changes like cutting a pack of sugar or switching cream in your coffee to low-fat milk can build in the long run. You might be itching to get rid of that habit right now, but as mentioned above, it takes time. Before you start trying to change a habit, consider thinking about it thoroughly for a month first, listing every reason you want to stop, recording every time you catch yourself doing it and so on. You could be better prepared to conquer the habit after this preparation. have two drinks when going out with friends, for example, but forget that promise completely as soon as you step into the bar. 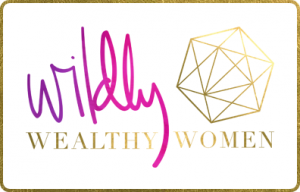 Try setting up reminders in your calendar for yourself for your weakest moments. Your future, less hungover self will thank you. Over time, if you do the same behaviours in the same place, your surroundings can become a trigger- sometimes very subtle to notice. If you go on smoke breaks in your office’s parking lot, the parking lot itself can become a cue to smoke. Switch up your surrounds in even the smallest way. The 20-second rule can help too: Make bad habits take 20 seconds longer to start. For example, move junk food to the back of the pantry. 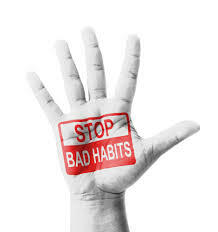 coach yourself to stop your bad habits. Chances are you’re going to have bad days. Setbacks are normal and we should expect them. Have a plan to get back on track and use the relapse as a way to understand what happened and how you can avoid it next time. Habits are loops that we repeat automatically. A cue triggers our routine, we get the reward from it and then repeat. An If-Then plan can help you disrupt this cue-routine-reward-system and replace bad habits with good ones. Just remember to keep your plan as simple as possible. Even if we hate a habit we’re doing, like smoking or biting our nails, we tend to continue doing them because they provide us with some sort of satisfaction or psychological reward. Catch yourself thinking any positive thoughts or feelings about your bad habits and reframe them to remind you of the negative aspects. In other words, in this case it’s good to think like a hater. I just want to tell you that I am newbie to blogging and certainly loved you’re web blog. Probably I’m planning to bookmark your site . You actually have fabulous writings. 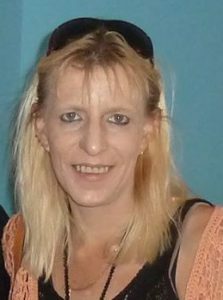 Thanks a bunch for sharing with us your website page.